Stay remotely connected to your Acura RDX with the AcuraLink app. Explore features like Personal Concierge, Remote Lock & Unlock, and more, then contact us for a test drive near Syosset! AcuraLink Real-Time Traffic: Link up-to-date traffic information to your navigation system. FInd My Car: Find your MDX in a Huntington parking lot easily. Send Destination: Send directions to your vehicle from the AcuraLink app. Automatic Collision Notification and Emergency Call: In the event of a collision or critical incident, help will be contacted and dispatched directly to your location if necessary. Roadside Assistance: use your AcuraLink app to bring 24/7 roadside assistance right to you. Stolen Vehicle Indicator: This aids authorities locating your car in the event of a theft. Recall Notification: In the unlikely event of a recall, AcuraLink will notify you right away. Schedule Service: Use your app to schedule service and keep track of vehicle upkeep. AcuraLink technology makes your drive in Plainview an effortless experience. 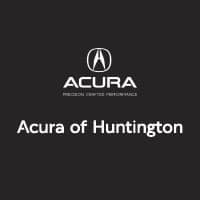 Learn more about how to stay safe in the Acura RDX, then contact us at Acura of Huntington with any questions.